Maya Bay on Koh Phi Phi made to the top of the list of every traveler traveling to Thailand after the movie The Beach starring Leonardo Di Caprio so much so that it won’t be an exaggeration to say that it was like a tourist magnet. It drew people from all around the world. The huge influx has left it damaged and it’s now nothing like how you see in the below movie scene. The Government has now sprung into action and closing the beach for an indefinite time so that it can recoup from the damage that tourist influx has caused. It was initially announced that the beach will remain closed from February until 1st October but was extended until November. On 2nd October, it has been declared by the Department of National Parks, Wildlife and Plant Conservation that Maya Bay will be closed for an indefinite period of time until it completely recovers from the harm caused by thousands of tourists visiting it every day. 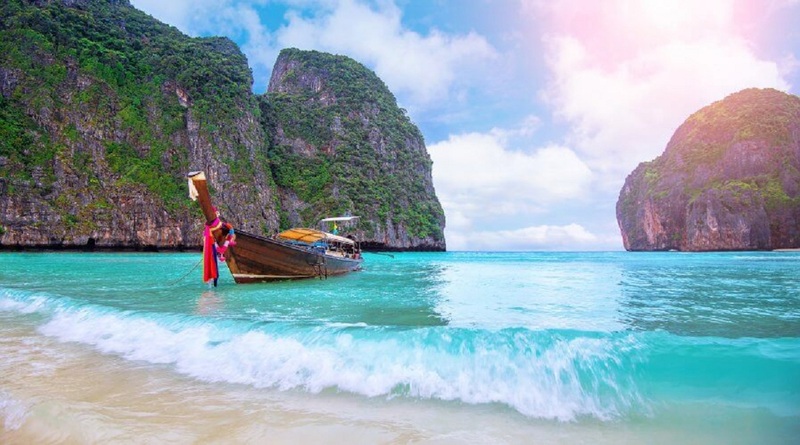 If you have already booked your tickets to Thailand and were planning to visit Maya Bay, don’t be heartbroken. 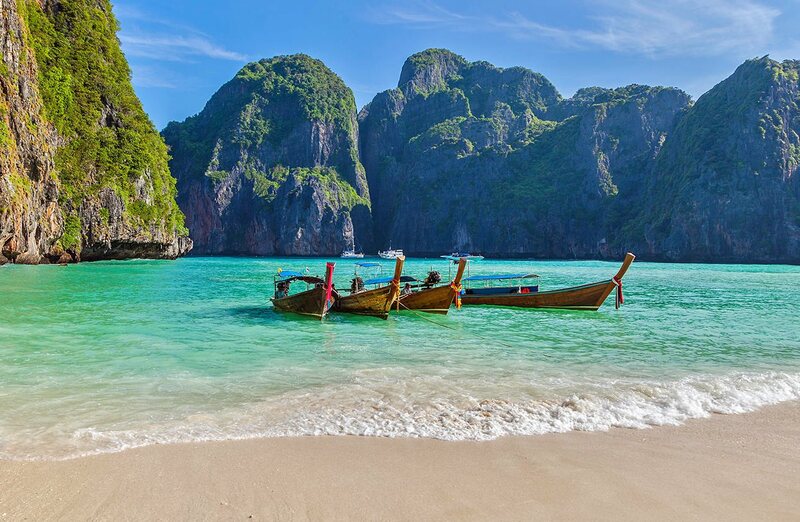 Thailand has no dearth of idyllic beaches and we’ve got you covered on some of the best beaches in Koh Phi Phi. Hat Phak Nam is a small secluded bay on the east coast of Koh Phi Phi. Home to a quiet fishing village and the beautiful Phak Nam beach, it is a perfect retreat if you’re looking for peace. Bask in the sun and experience the ocean’s tranquility away from the hustle and bustle of everyday life. It is recommended to hire a long boat taxi to get there from the viewpoint. It is a rugged hike and walking might not prove to be the best option. Located on the upper half of the east coast of Koh Phi Phi Don Island, this 800 meters long picturesque beach is one of the best coral beaches at the south end. 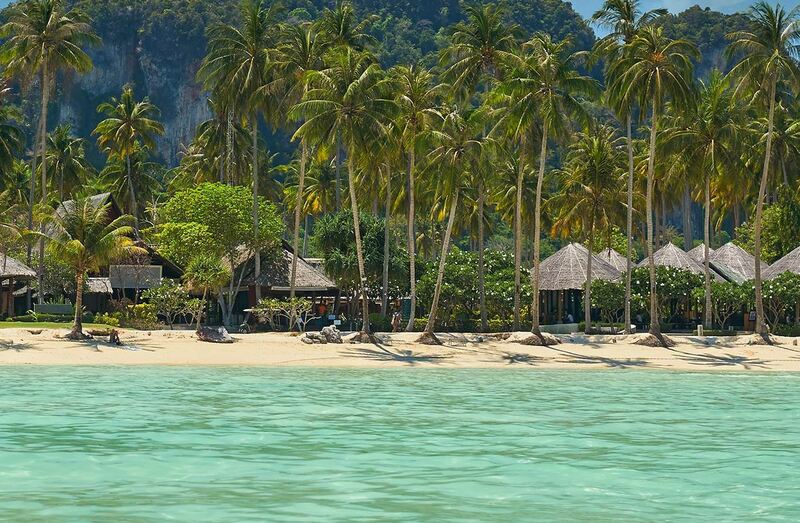 Coconut trees lined up at the shore provide add to its beauty and provide a breathtaking view. 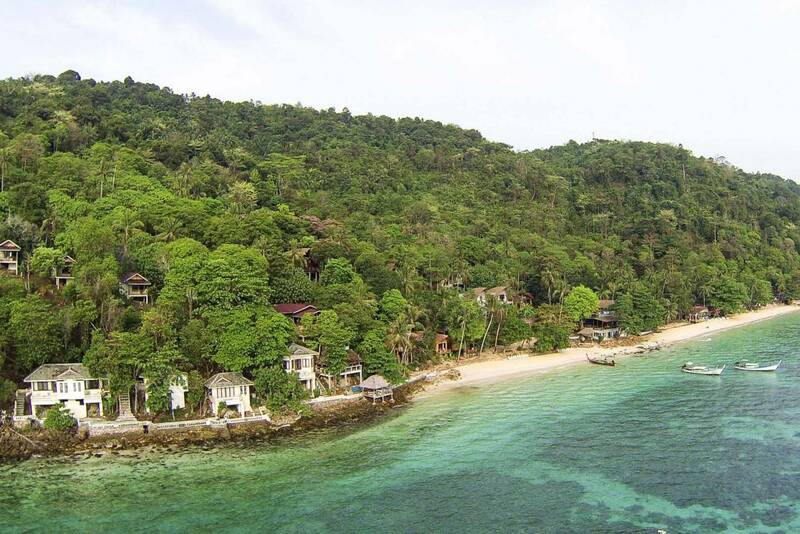 Soak up and relax or if you want to do something energetic try snorkeling, trekking and climbing in Loh Bagao Bay. Rantee Bay is naturally shaped in such a way that it keeps the sea extremely calm by acting as breakwater. Situated on the eastern coast, the beach offers a splendid view and a peaceful experience. The coconut trees at the beach complement its calm splendor. But be careful of the coconuts falling from the trees. You do not want a coconut dropping on your head. It is possible to reach there on foot from the viewpoint. However, it is advised to take a long boat taxi as the way is quite rough. Limestone cliffs surround this scenic beach, being a perfect companion in its adoration. Sun loungers and beach umbrellas are scattered across the beach for you to enjoy your time here. Moreover, the water on this beach is quite shallow and warm; it’s very rare to find waves taking over the soft white sand. The shallow water allows you to go far into the sea as the water level does not rise for a long distance. The carpet of the softest and the whitest sand on the island spreads over Long Beach. 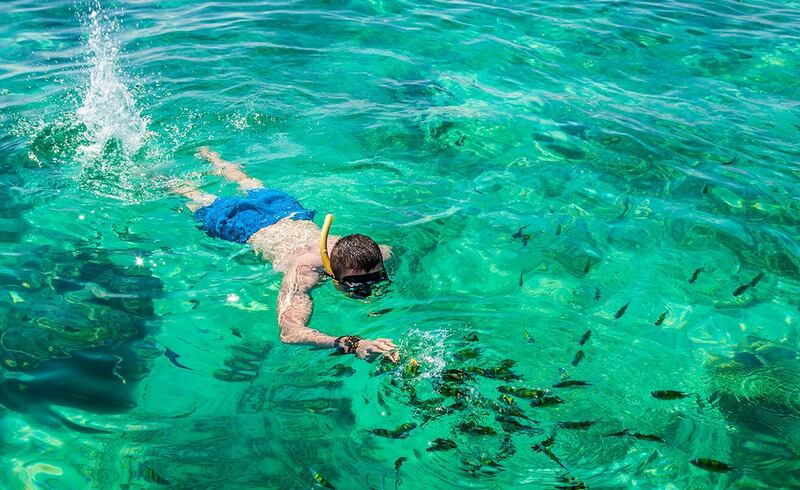 You can go snorkeling to take a break from lazing by the beach. Just about a distance of 200 meters stands Shark Point where you will get to see many black tip reef sharks. The best time to visit this beach is between November to April as the water is calm during these months. 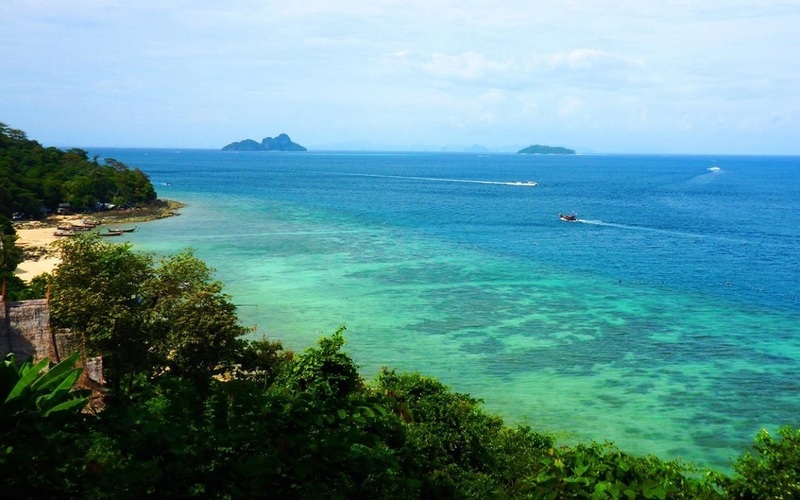 How to reach Koh Phi Phi: The nearest airport is Phuket International Airport. There are no direct flights to Koh Phi Phi. However, many speedboats and ferries are available to take you to this island. 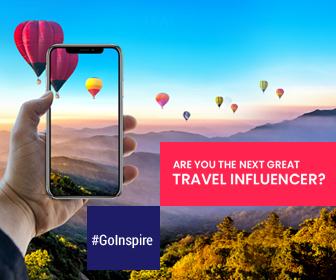 Book your flight to Phuket and from there you can choose public buses, trains, or private taxis. Last but not the least: There are not many resorts in these beaches so it would be advisable to book your Phuket accommodation in advance. Don’t fret that Maya Bay is closed. Thailand is still as beautiful and as beachy as it has always been. Take a vacation in these beaches and let us know in the comments below about your experience.